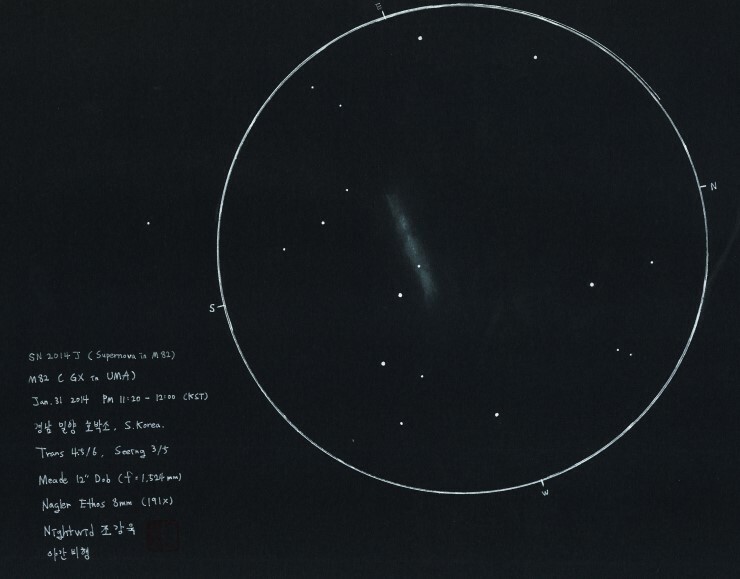 I saw SN2014J in M82 on Korean New Year night. It is very surprise event to me, since I’ve never seen bright supernova. But that is more dark than this one. I drew a sketch with 10″ dob, black paper and white pastel & jelly pen. 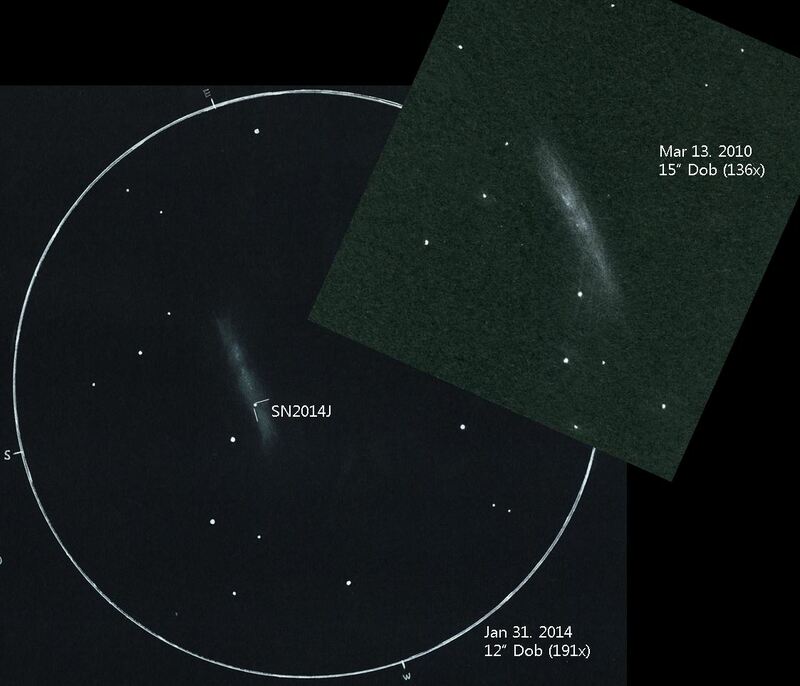 And I compared with my previous M82 sketch. It is so interesting, I want to share everyone! 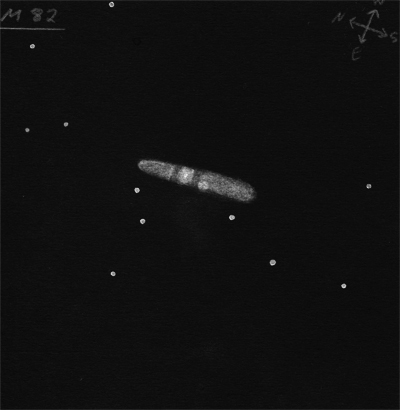 Type: Irregular Galaxy. Type Ia supernova. Material Used: Graphite pencil on white paper. Reversed Image processed with Photoshop. Eyepiece: Vixen LV-W 22 mm Magnification: 92x. Scketch made at La Hita´s Observatory in La Puebla de Almoradiel, Toledo (Spain). With graphite on white paper, looking through TEDI telescope (770 mm, f3.2 ) eyepiece 13mm and the red light of my torch (I call it “the demon” by its two red eyes). My estimate of current magnitude is Mag 11 to 11.5 using local stars as known reference. I hope that you get to see it soon too, if you haven’t seen it already. 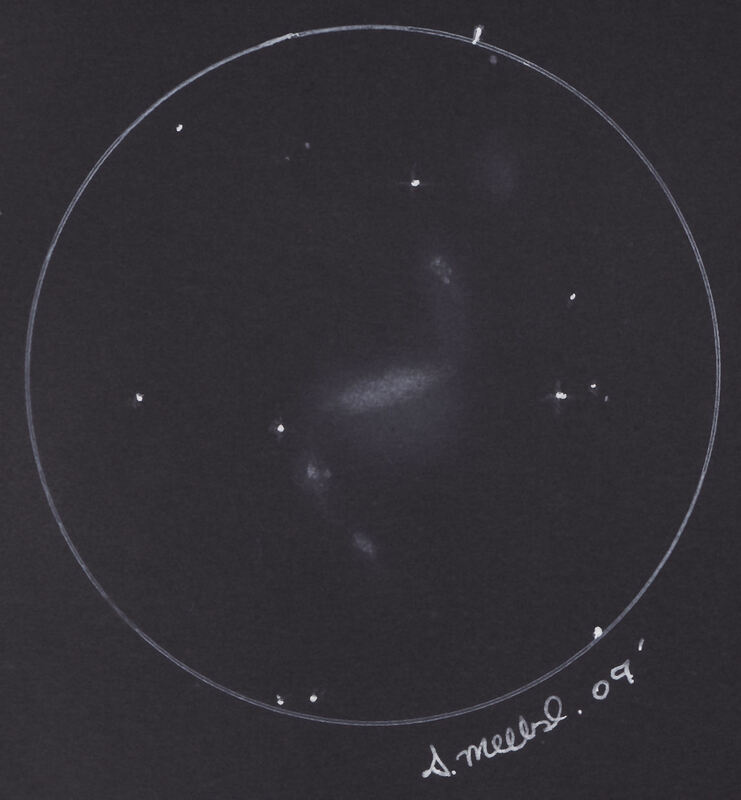 I send a sketch of the great supernova in the galaxy M.82. I could not detect any color in this SN, it looked white to me! 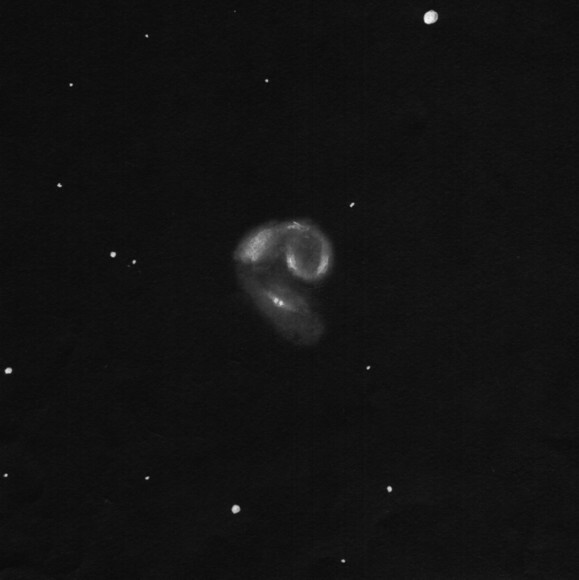 I also observed the SN in M.81 in 1993 (ASOD-gallery). My sketch here is made with colorcrayons on black paper. Location: Trondheim, Norway. Info on my sketch. Just before the New year me and my buddy packed our gear and went on a small mountain where we occasionally enjoy the Nightsky . Though my friend is more into photographic Astronomy we sometimes try our skills at the same Objects and share our Scetches\Photos what’s great to compare. Especially if someone asks you if you can see all the colors and details through your scope that they know from Hubble images in Media. It was a pretty good night with excellent seeing and good transparency. Only 95% illuminated Moon was a little annoying then. 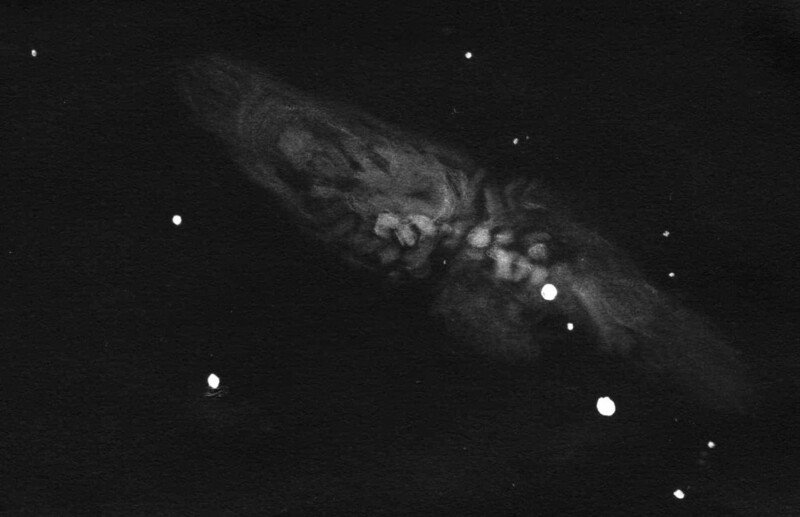 Bodes Nebulae are always a nice view. Made a few scetches that night. This is my first one to post here. There’ll probably be more. 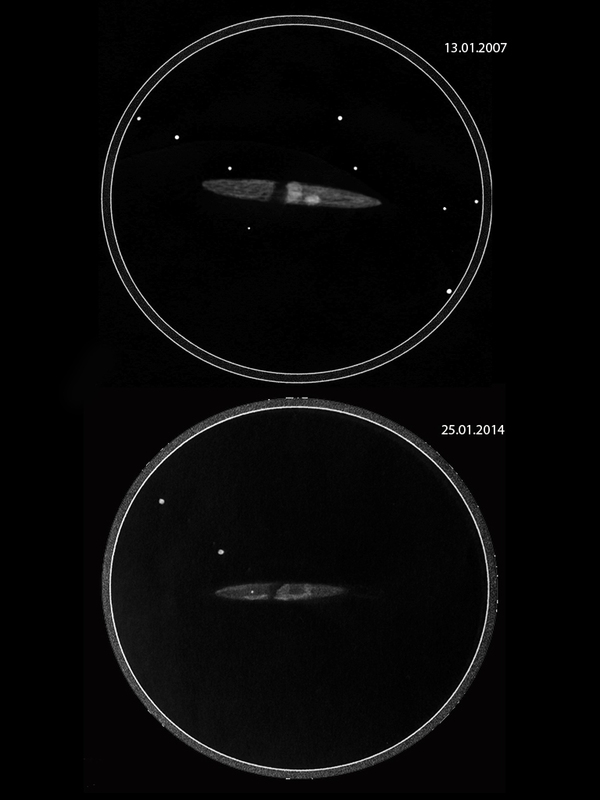 Time: 07:15 UT and 07:45 UT approx. Sketches done using the Mellish Method with the contrast adjusted in GIMP. 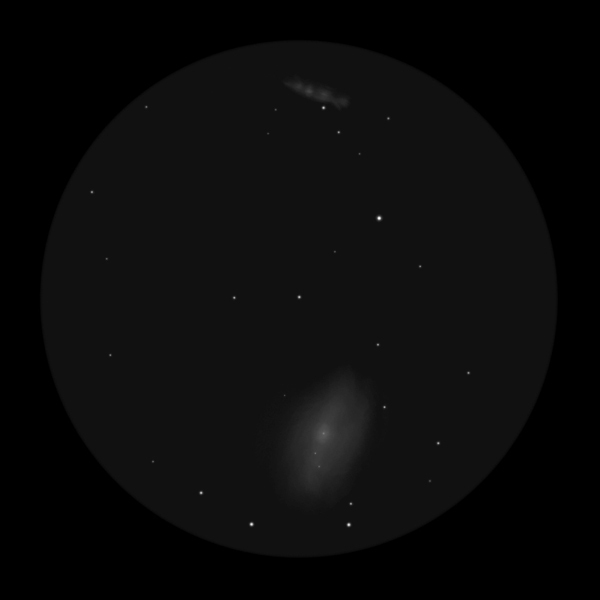 Two of my last several objects of this night were M81 and M82 in Ursa Major. I included them because of the Light Pollution versus Dark Sky comparisons I am wanting to do. Now I just need to the sky to cooperate at home! Nothing but snow that melts the next day and clouds since. 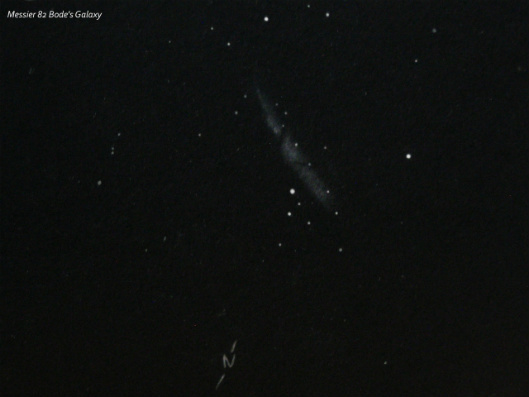 M82, Bode’s Galaxy in Ursa Major. Pretty close to spot on how I saw it. This time I have some kind of classic 🙂 Famous galaxies M81 & M82 in Ursa Major. I observed it through the ATM ASTROBINO (two connected newtonians 165/650). It is great instrument for this kind of objects under dark sky. 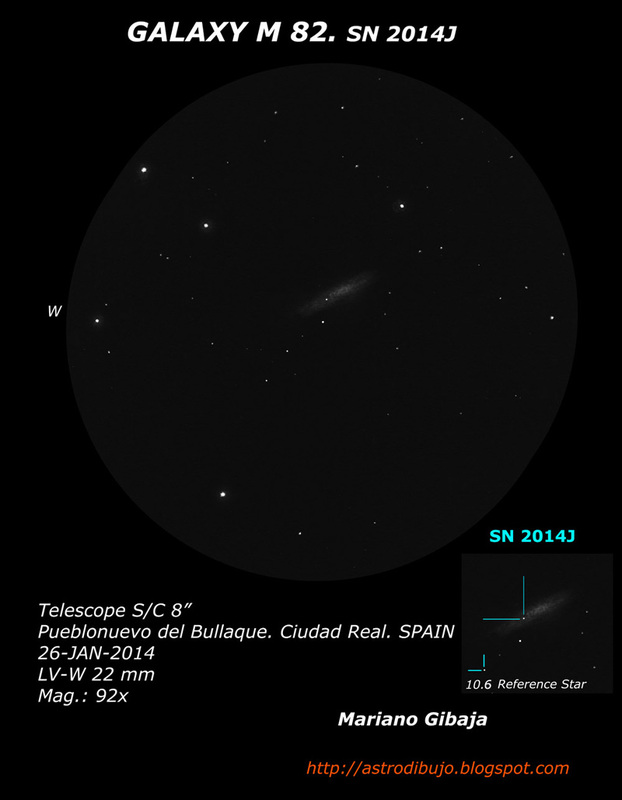 Both galaxies were clearly visible with some details in Cigar (some “shadows” in the structure) . 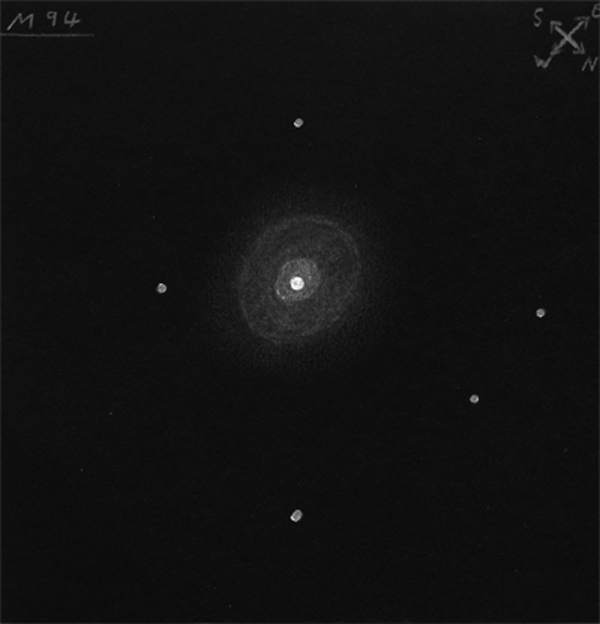 M81 – disk with brighter core, no more details observed. A rare clear February night – on a Friday no less – graced Oregon skies on the 25th so I headed out to my good friend Chuck’s place in the Coast Range mountains west of Portland for a few hours of observing. When I got there I was treated to a pristine, unspoiled and completely overcast sky – what?! It was perfectly clear when I left home for crying out loud! A solitary cloud sprang up right over Chuck’s place late in the day, and even though I saw it forming I was sure it would clear off by dark. Nope. After waiting a couple of hours the sky started to clear. Feeling optimistic I set up my 28 inch f/4 scope – Chuck’s scope was already patiently waiting under a tarp – and by the time I was ready the sky was 100% clear. Sometimes we get lucky! There was about 4 or 5 inches of snow except on the gravel driveway – fortunately the snow there had melted earlier in the day. 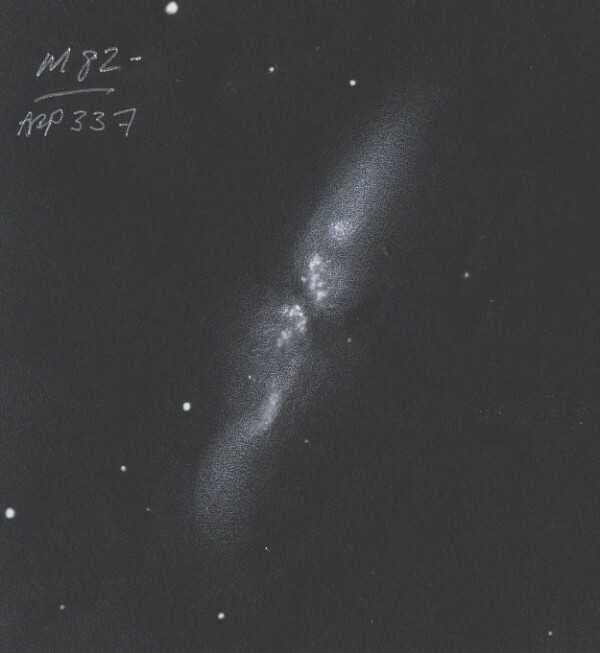 After trying out my new DGM NPB filter on M42 – most excellent – I eventually settled on sketching M82. The conditions were quite nice with surprisingly good transparency and seeing. SQM readings were in the 21.25 to 21.35 range for most of the night. Temperatures fell slowly until a low of 17F at 2am when we called it a night. The Moon was coming up about then and revealed high clouds covering most of the sky, so we had gotten the best part of the night. More good luck. As soon as I got M82 in the scope it was immediately apparent how good the conditions were because the galaxy was “exploding” with detail. I kept putting on more magnification, and until I got to 816x I kept seeing more internal detail. Most of my sketch was done at 408x and I used higher powers to help confirm some of the smaller and more difficult details. The most pleasing view was at 408x anyway so I really enjoyed the process of making this sketch. Chuck came over and soaked in the view for a while and agreed it was one of the better views he’d had of M82 too. As always, I saw more than expected simply because I put a good effort into sketching. I don’t recall seeing the small details near the core on either side of the dividing central dark lane before but they sure stood out well tonight. 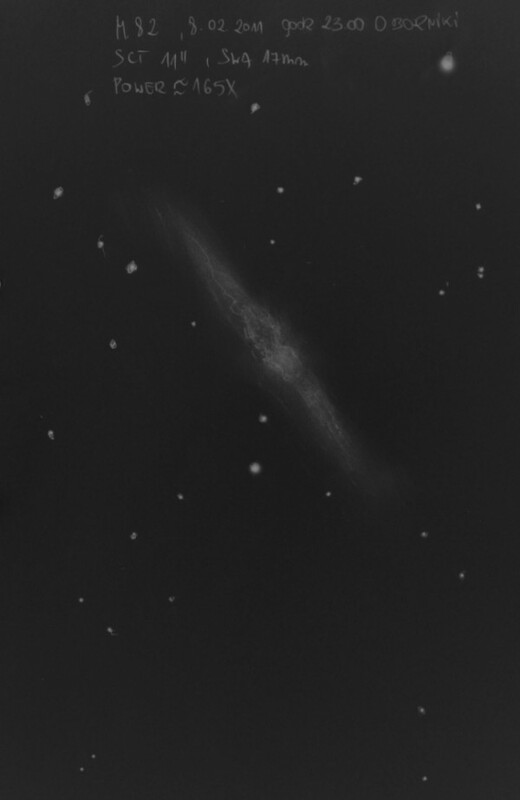 I was also surprised how little the NPB and OIII filters dimmed this galaxy. 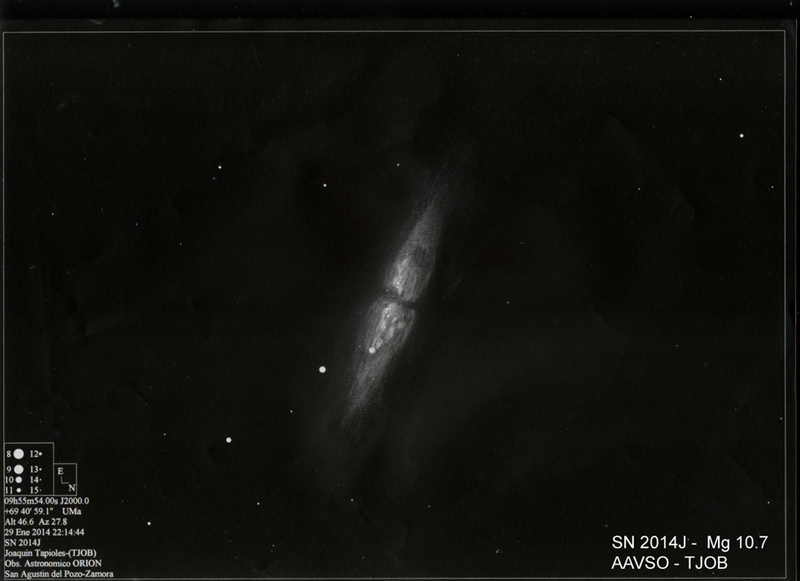 The filters didn’t reveal other details, M82 just didn’t dim as much as most galaxies do. The sketch is a result of about 90 minutes active drawing at the eyepiece and then I cleaned it up a bit the next day before inverting it. I used an HB lead pencil and an eraser for the original sketch. I tried a slight variation of my usual technique – I had a piece of stiff cardboard behind the page of my notebook I was drawing in and that gave me a little more control over my sketch. I’m impressed by the result because the raw sketch was much nicer looking in the light of day then normal. It could be a fluke, but I’ll keep at it until I know for sure. 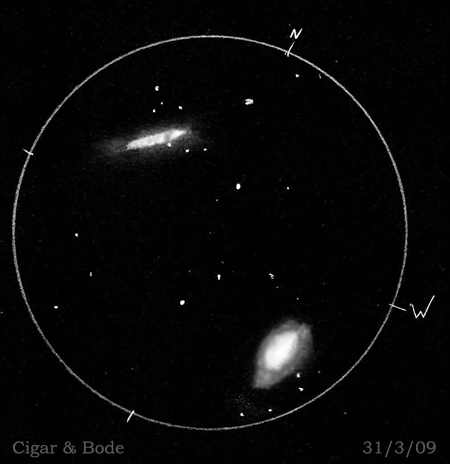 Messier 82 (the Cigar) is the smaller member of the Bode’s Galaxy pair. 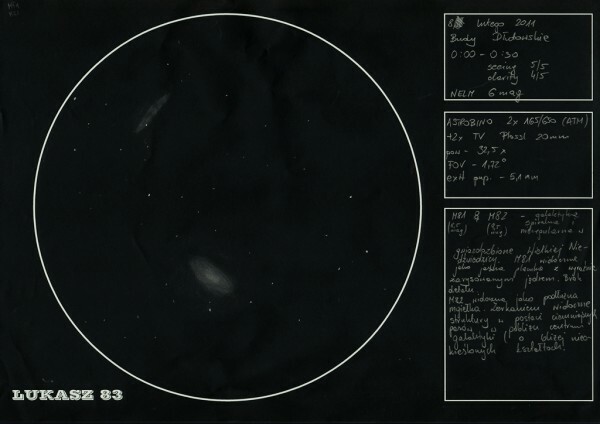 “Schmidt – Cassegrain on CGEM mount and the Sky-watcher eyepiece. 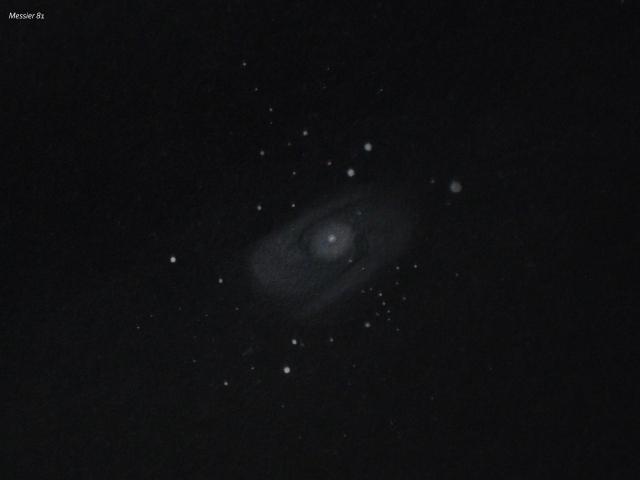 I was not all that impressed with the quality of the observing conditions while I was sketching this impressive galaxy. Waves of unsteady air were crossing the eyepiece field at intervals. Still when there is a clear sky to be had then beggars cannot be choosers. NGC 1313 is big and bright enough to hold its own in such conditions. A noted Star Burst galaxy as is quite evident from its ramshackle appearance. In a large dob this galaxy is a very rewarding sight. very stunning. I picked up my drawing set and started to sketch. Studied it with different magnifications and combined my impressions. 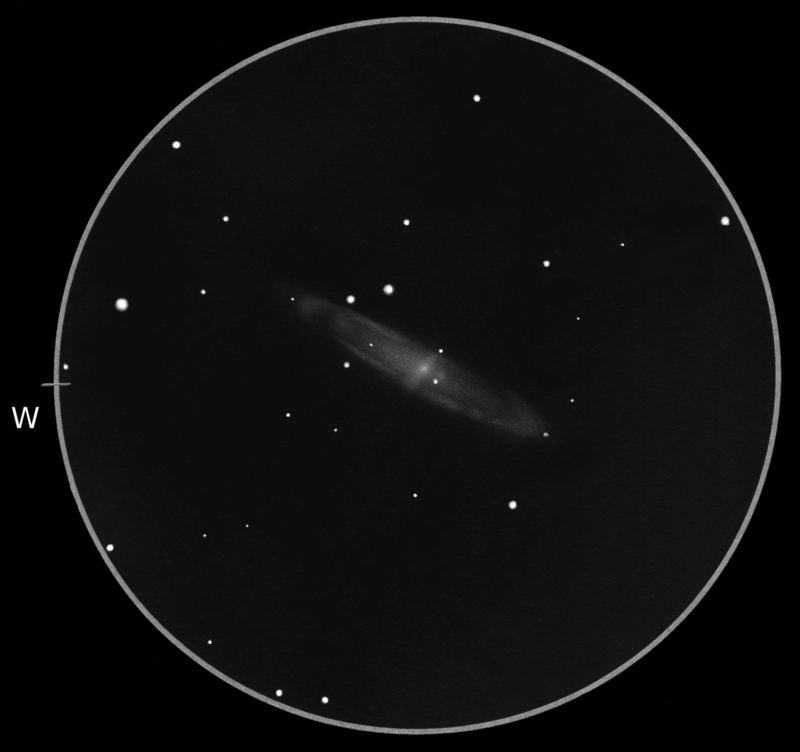 today I send you sketch of M82 – “broken cigar galaxy”. I send you “M.82, a broken cigar”. I could observe dark and lighter structures in this galaxy. 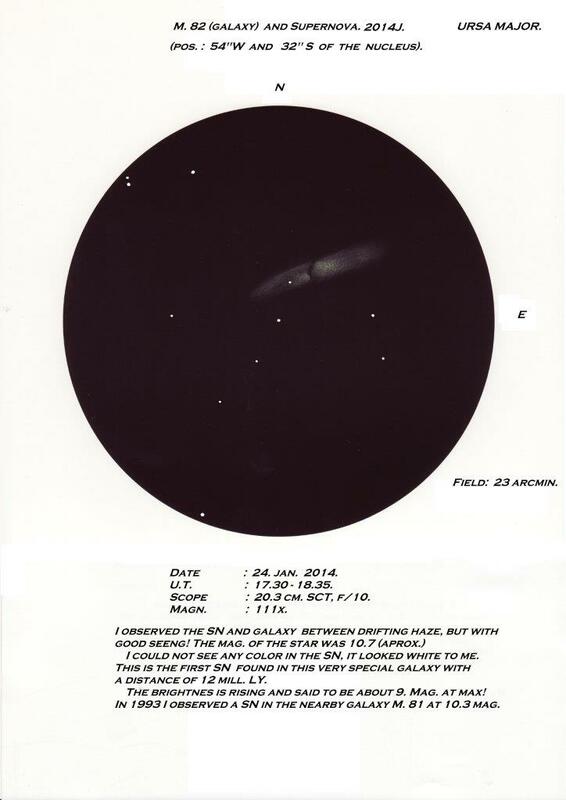 This galaxy is really a good target for amateurastronomers! 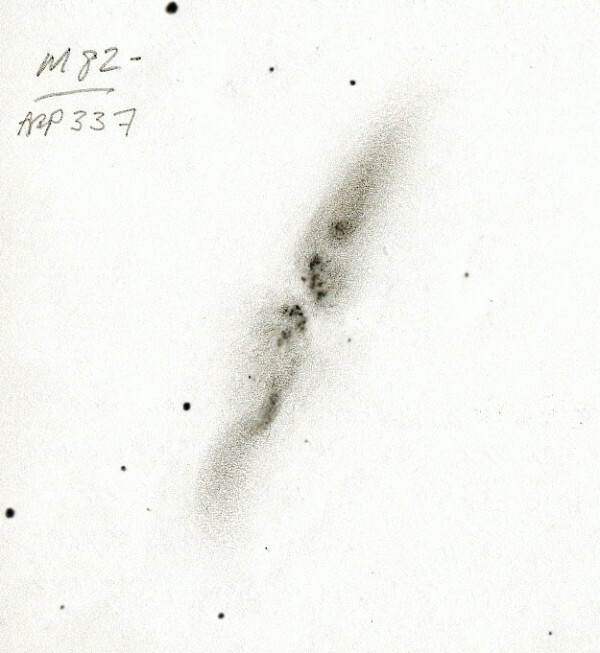 The separation between M.81 and M.82 is also a good match!! drawing was made, and clean sky! I use water coloured crayons on black paper only! 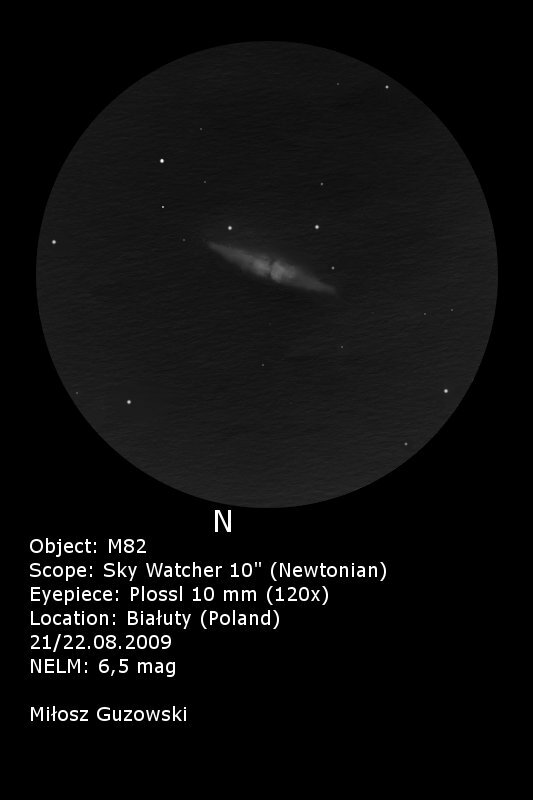 The observation of M.82 was from outside Trondheim, Norway. See more info on my drawing!! I’m thrilled being able so see all these beautiful sights and am looking forward to observing and sketching many many more. This, my first ever, already said that 😉 was done on a great cloudless night which is rare in this part of the world, with some humidity and unfortunatly bright moon! With a 3B pencil and white paper, thereafter fliped the image color during scanning and a light smoothening in photoshop. Hope you enjoy my first and certainly not last attempt! This northern hemisphere bright galaxy (magnitude 8.4) is one of the showpiece island universes of Ursa Major. At 11-12 million light years from us, M 82 which is also known as NGC 3034 clearly shows its central starburst activity with obscuring dust at the eyepiece of moderate to large telescopes. This galaxy is a member of the M81 group of galaxies and is just slightly more than one moon diameter away from this galaxy. 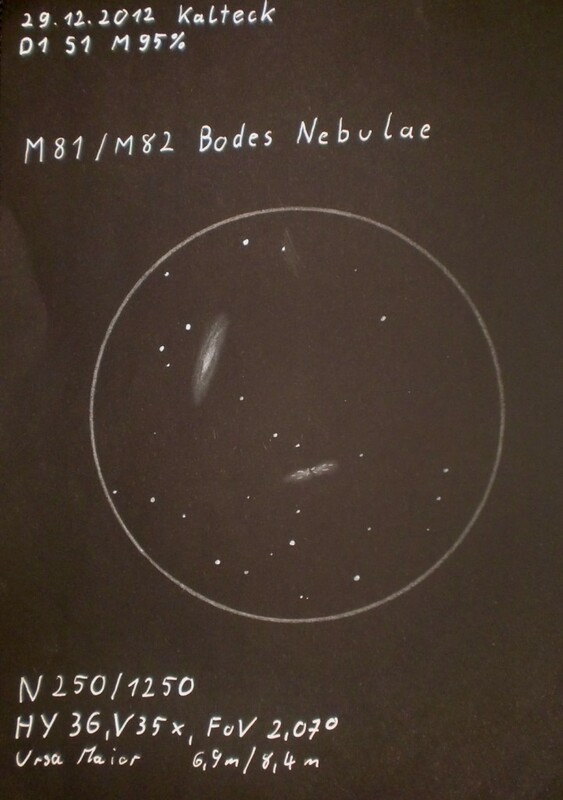 Both M 81 and M 82 were discovered by Johann E. Bode late in 1774 and just 6 years and 1month later Charles Messier added M 82 to his well known catalog. 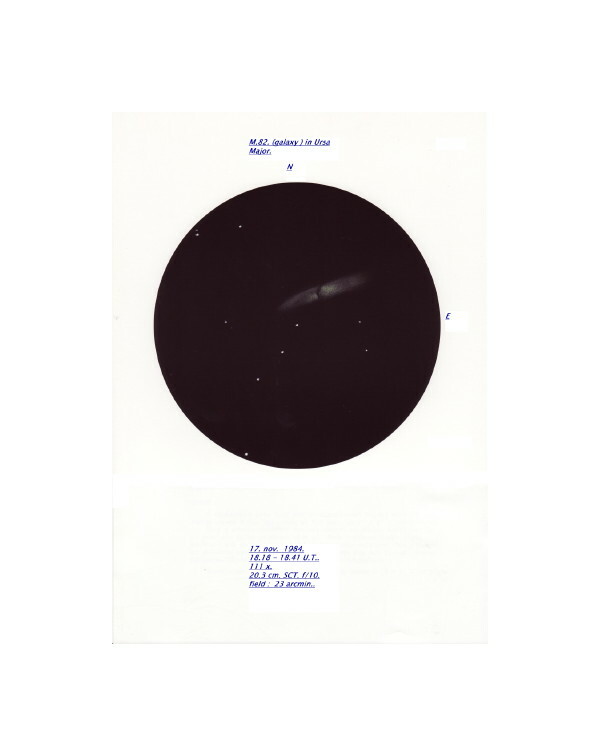 In 1963 astronomers Sandage and Lynds published a paper describing M 82 as a strong radio source. In infrared this galaxy is very bright. 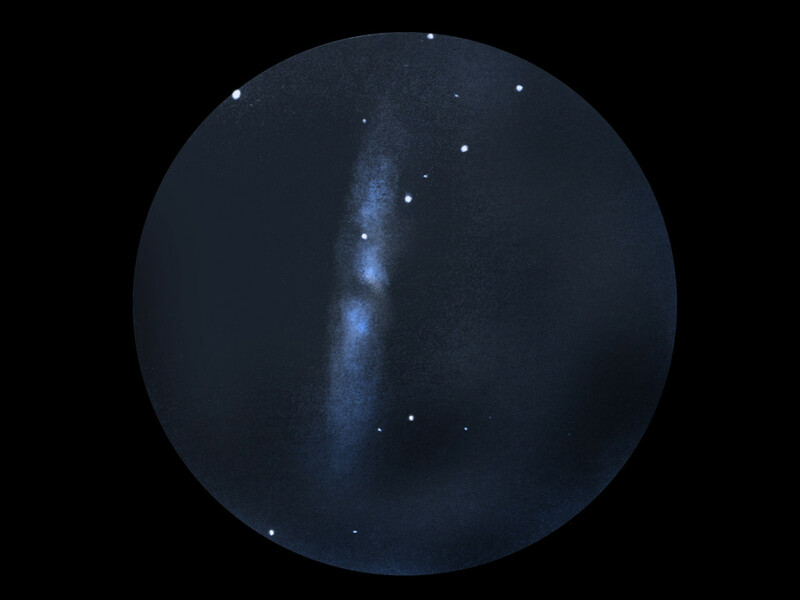 The galaxy was once thought to be an irregular shaped galaxy but is now known to have two normal spiral arms and a central bar visible in near infrared. I look forward to spring each year to be able to observe this galaxy at culmination on a moonless night. This colliding pair of galaxies lies about 65 million light years away in the constellation Corvus. They are named after the long tidal tails that were strewn out some 200 to 300 million years ago when the galaxies first began interacting. As the collision proceeds, billions of new stars will eventually be formed. This fascinating merger gives us a preview of what may happen when the Milky Way and Andromeda Galaxies collide in the distant future. have a closer look seriously and I haven’t regretted it in the least. discovered by the avid eye of the observer. experimental phase with the settings. I hope you like the sketch. Sketch Orientation : N up, W right. PhotoPaint, based on a raw pencil sketch. years, it contains about 60 billion sun masses. M 94 is a starburst galaxy. distant glow, which faded into nothing at the outer rim. Sketch Medium: White pastels and white ink on black cardboard.